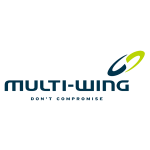 Multiwing Australia are market leaders in the development of multi blade propeller products. Having been a distributor for Multiwing products since their Australian subsidiary was established in Australia, Markair has been supplying the complete series of propellors, including the H and Z series for larger axial applications, and the D series, generally for condenser unit applications. We can build any configuration of Multiwing assemblies in house, in PPG, PAG, Anti Static PAG and Alloy materials, and can blades to any size required for your application.